Location: Bay City, Texas, U.S.A.
During final sheetrock installation within this 2B dollar, industrial, “semi-open-air” construction project, the onset of a winter front (by no fault of the contractor) caused a rapid dew point-driven/condensation event (interior “rain”) that resulted in full coverage mold across the interior of the plant. 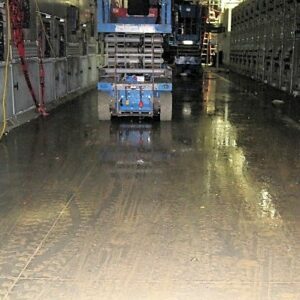 Millions of dollars of state-of-the-art electrical equipment throughout the facility was at risk of damage; the average plant ceiling height varied, but was typically well in excess of 35 feet from slab. The size of the facility and strict (continuing) construction schedule necessitated division of the plant (schematically) into 12 functional areas (containments) for mold assessment, remediation, and eventual clearance. The owner and client required unconditional clearance under a mutually agreeable protocol. Given Turner’s trust in TGE’s work, TGE mobilized crews for expedited assessment and comprehensive characterization; and prepared a detailed, site-specific Construction Materials Management Plan (CMMP), a mold protocol, and associated Clearance Criteria. The CMMP is a tool that TGE originated given the firm’s history in healthcare construction and post event emergency response; it proved vital in not only protecting staged materials awaiting installation but also all previously installed electrical equipment that had already been engaged (until HVAC systems could be activated across the plant). Under owner’s requirements, the Texas Mold Assessment Remediation Rules (TMARR) was complied with (including notification) and the project-specific protocol strictly followed. TGE also performed mandatory asbestos assessment in compliance with Texas Department of State Health Services (TDSHS) prior to disturbance of any installed materials. 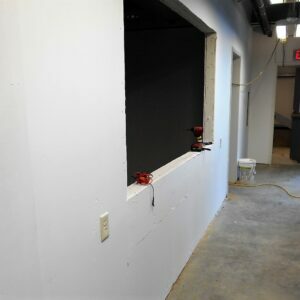 The facility was completely remediated within 90 days of the event without loss or permanent damage to vital equipment; the majority of affected sheetrock was saved from demolition, cleaned, and treated effectively with an antimicrobial coating (for future antimicrobial benefits). The work was completed on time, in scope, and the reoccurrence of mold has not been found to date. 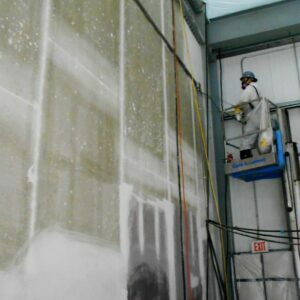 This project would prove to be the largest single mold remediation effort under TMARR notification for a single facility, with millions of square feet of mold-impacted surfaces involved.